Contact Miramar Slip & Fall Lawyers Gerson & Schwartz, P.A. 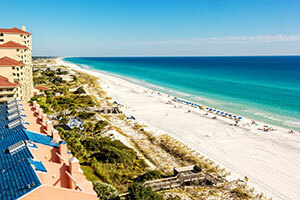 With a population of 138,449, Miramar is the 14th largest community in the state of Florida. The city of Miramar got its start in 1953 when A.L. Mailman purchased land and built 56 homes. Located in Southwest Broward County, it is easily accessible from I-75, 441, and the Turnpike. Miramar borders Pembroke Pines, Hollywood, West Park, and Miami-Dade County. Trip and fall accident victims may sustain serious injuries, resulting in the loss of wages and mounting medical bills. They may also incur costs for medical transportation and in-home assistance. Insurance companies may offer quick settlements to close out your case. Before you settle, understand what your rights are and what compensation you are entitled to. Contact Gerson & Schwartz for a free consultation. After motor vehicle accidents, falls are the second leading cause of unintentional injury. Each year, over 800,000 people are hospitalized due to an injury sustained from a fall. Unsuspecting people can trip and fall when property owners and businesses do not maintain a safe premises. Walkways that are uneven, parking lots with potholes or poor lighting, and hidden curbs can cause people to trip and fall down. Trip and fall injuries can be serious, even resulting in death. Property owners and businesses are expected to provide people with a reasonably safe environment that is free from injury. Whether getting onto an escalator or in an elevator, walking on broken section on sidewalks, or stepping on debris lying on walkways, serious injuries can occur. For some injured in a trip and fall accident, they may not be able to work after the accident. They may incur significant medical bills or aren’t able to afford medical treatment. 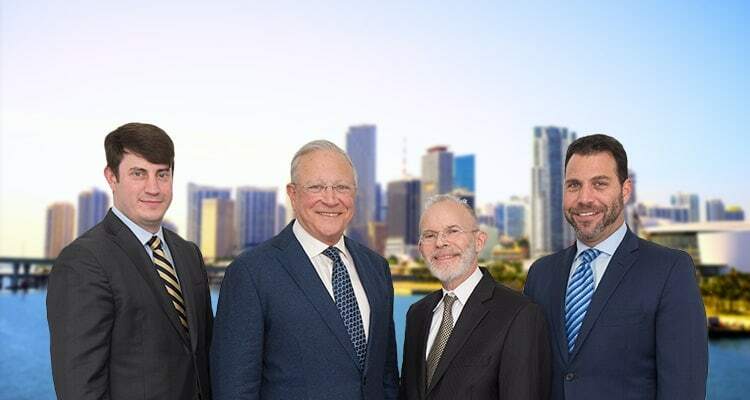 If you or your loved one has been injured through no fault of your own, contact the Miramar trip and fall accident attorneys at Gerson & Schwartz. The team at Gerson & Schwartz can answer questions about your accident. Injured parties that are unable to work often ask if they are entitled to lost wages, how they can receive treatment, and how they will pay for their medical bills. If the accident resulted in the loss of a loved one, we can represent you in a trip and fall wrongful death claim. If you or a loved one is a victim of a trip and fall accident and would like to speak to our Miramar trip and fall attorneys, contact Gerson & Schwartz at (305) 371-6000 for a free consultation. For the injured party, medical treatment should be sought immediately to prevent further injury. If you or your loved one has been the victim of a trip and fall accident, contact our Miramar trip and fall attorneys to find out what your options may be for medical treatment and reimbursement. If you or your loved one has been the victim of a trip and fall accident, our Miramar trip and fall attorneys at Gerson & Schwartz can help you get back on the path to recovery. Understand your rights and what compensation may be due to you. Contact us at (305) 371-6000 for a free consultation.